At Lensmen, we’re very proud to announce completing 22,000 jobs since 1995! Can you believe it? Where does the time go? Our journey has been one of joy and excitement. Thankfully, we have worked with some of the most diverse, interesting, and wonderful people. 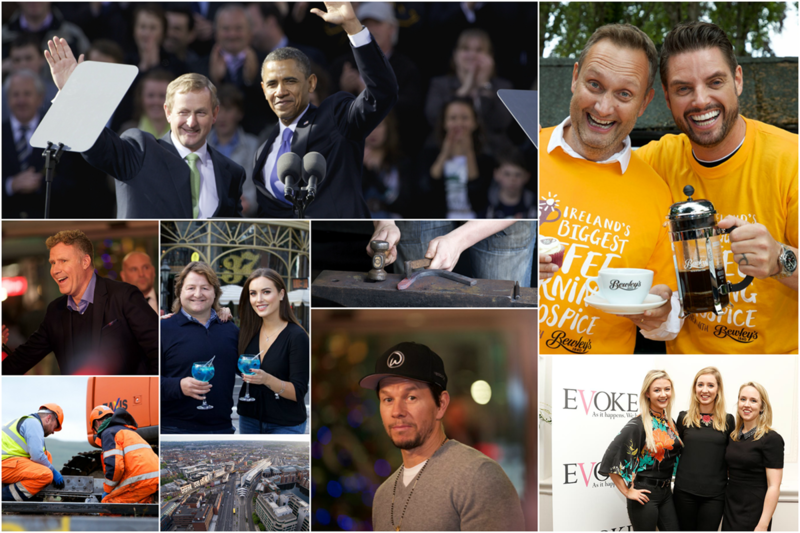 Our photographers snapped images of politicians, world leaders, entertainers, and models. There were business owners and their employees to great sports legends and beloved charities. We have captured some of the world’s tastiest foods and filmed the construction of our ever-evolving beautiful island of Ireland. We have also captured important political events as they unfolded over the years. When Susan took over in 1995, Lensmen have already been in business 43 years! Susan built on that reputation, developing it further by diversifying Lensmen. Susan took Lensmen into the 21st century, evolving the brand name and as a result building the Lensmen network. One might ask us, how after 22,000 photographic and video jobs, we still find the strength and enthusiasm to do what we do? It’s simple. Passion! There’s nothing like passion to drive to success to realise one’s goals and achievements. That’s why we keep doing what we do! At Lensmen we are like family. An integral part our business is having such a close-knit assembly of some of the best photographers, videographers, editors and staff that one could ask for. We all share the same vision and passion for our work. Lensmen understand and appreciate that our client’s success is our success and our success is our client’s success! Because of this, we have a strong client base of happy customers. Most of all, Lensmen’s achievements are driven by our wonderful clients and their recognition of quality service. We value lasting relationships with our clients and hence why the Lensmen name has gone from strength to strength since 1952! Lensmen wish to thank all our clients and people we met over the years.